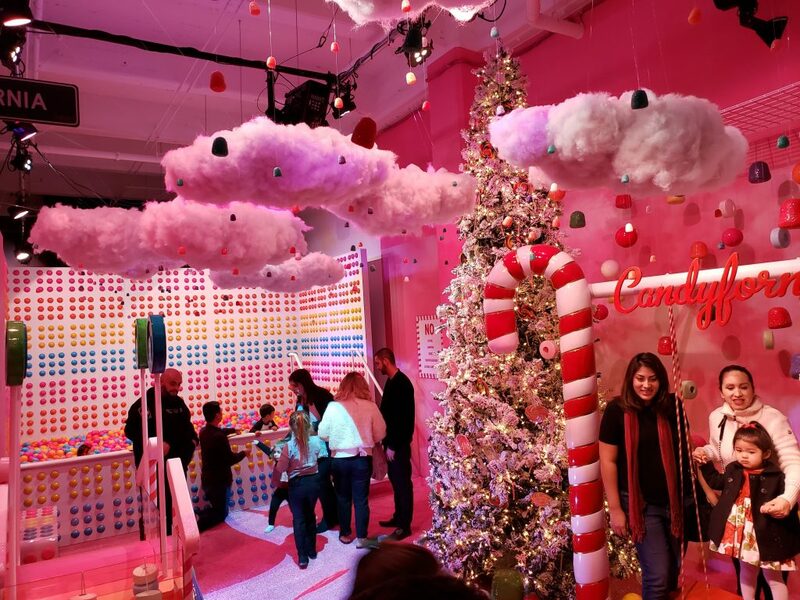 Enjoy tons of photo ops at Fa La Land, a Christmas themed pop-up in DTLA featuring everything from candy dot ball pits, a fun swing, a kissing booth, and even pictures with Santa and Mrs. Claus! 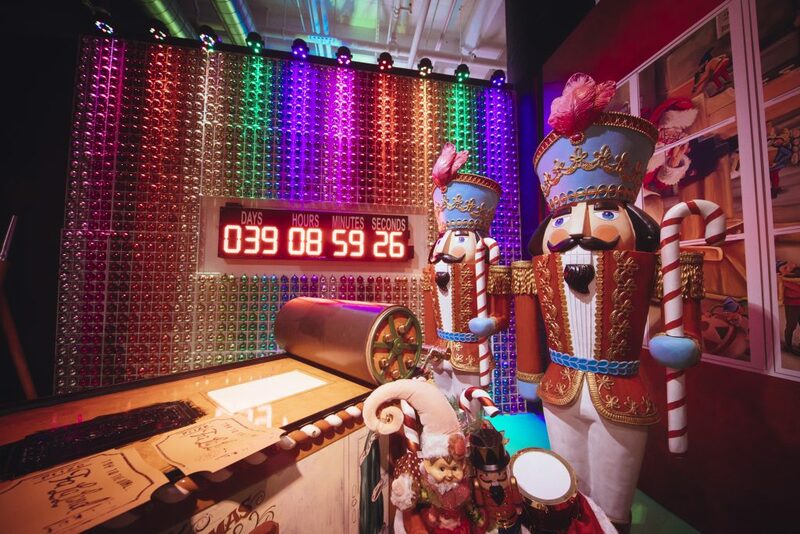 WHAT: Tinseltown’s most vibrant and fun holiday pop-up museum. Going by car? There’s a parking structure on site. Going Metro? Take the Metro Rapid Line 760 or Local Lines 60/62 to 7th & Central. 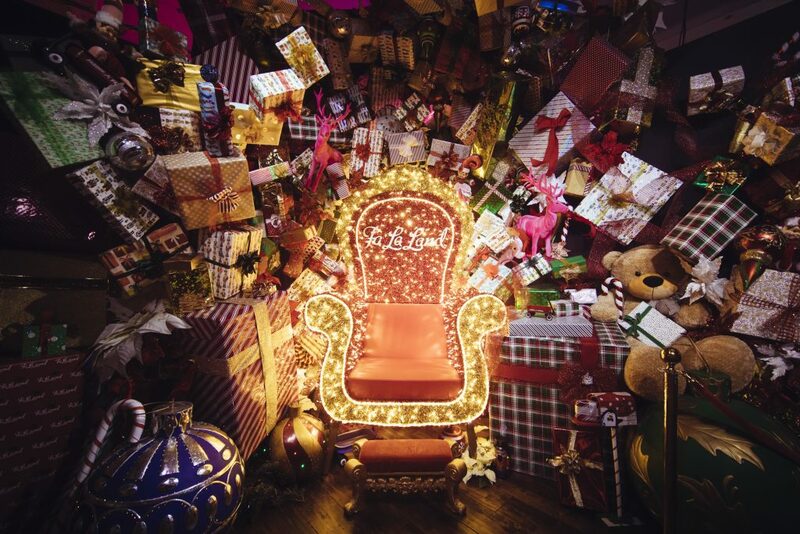 Fa La Land is only a 7 minute walk away. Plan your trip using the Trip Planner on metro.net or call 323.GO.METRO (323.466.3876). 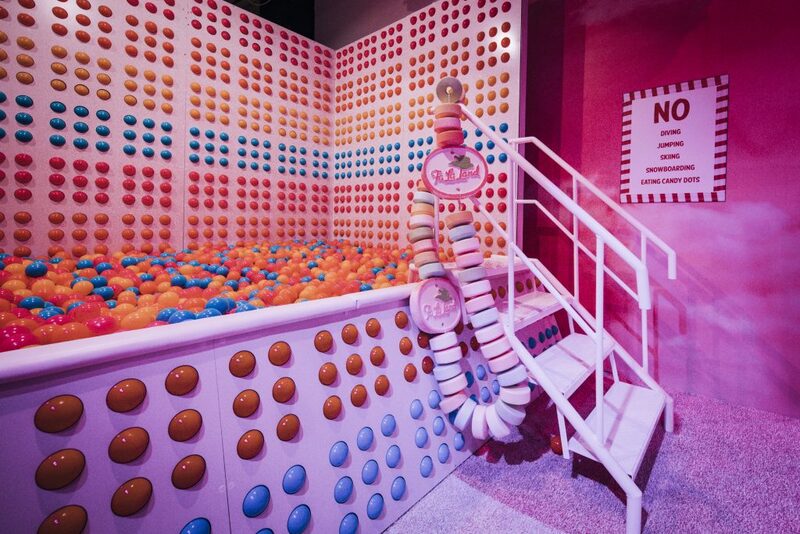 HOW MUCH: $37 per person (children under 3 are free). Includes a picture with Santa, so it seems worth it that way especially with the other photo ops available. ALSO: Make sure you buy tickets online at https://falaland.com before you go. What is Fa La Land? If you’re all about Christmas cheer or have kids wanting to get a good deal on a picture with Santa while getting some great photo ops along the way, then Fa La Land makes a ton of sense—Stuff in LA got a first-hand look at what there is to offer, and while we went in unsure of what to expect, we walked away impressed. It’s like you’re going to a really cool indoor neighborhood and seeing how crazy and extra the neighbors get with Christmas decorations; it’s obvious a lot of thought went into this. Fa La Land was created by Amanda Brown (author of Legally Blonde) Rory Dorsey, and Chloe Sommer. “Fa La Land was born from the idea that we all need a little more magic in our lives,” Brown says. 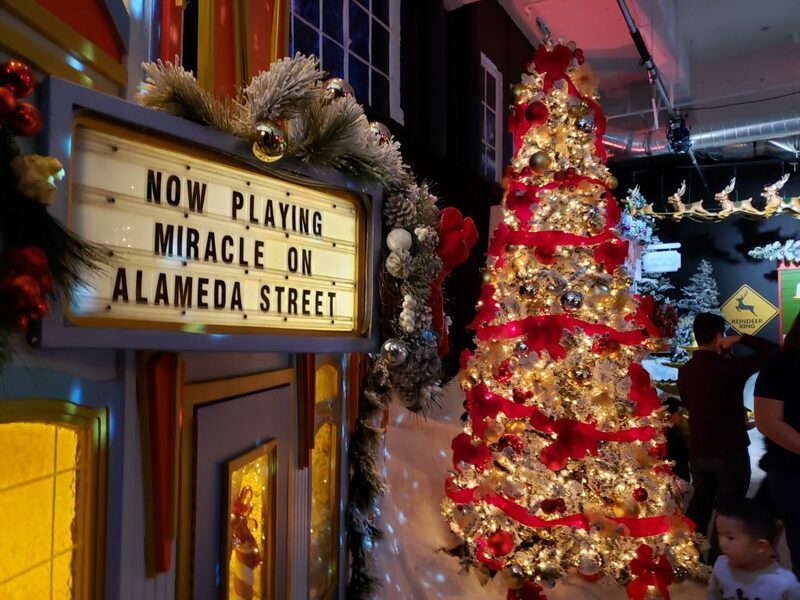 “And what better time than around the holidays in our hometown where we’re always ready to embrace the creative and enchanting?” The pop-up museum, as they coined, is nestled in the up-and-coming ROW DTLA, which gleams as hip and modern in the heart of Downtown Los Angeles. “Our goal is to leave a forever impression in the hearts and minds of every single person who comes to Fa La Land this season,” Brown added. Leaving with those impressions include impressive celebrities co-signers, most notable of all being Adele—miss her? What is there to see at Fa La Land? 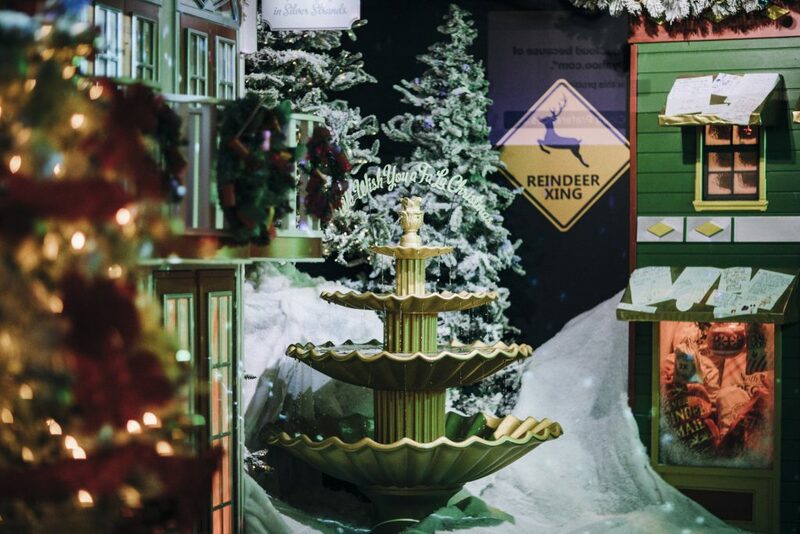 Wander around a scenic North Pole Village which includes Mrs. Claus and vignettes including Fa La Post where you can write a letter to Santa and the “We Wish You a Fa La Christmas” wishing well where all holiday wishes come true! 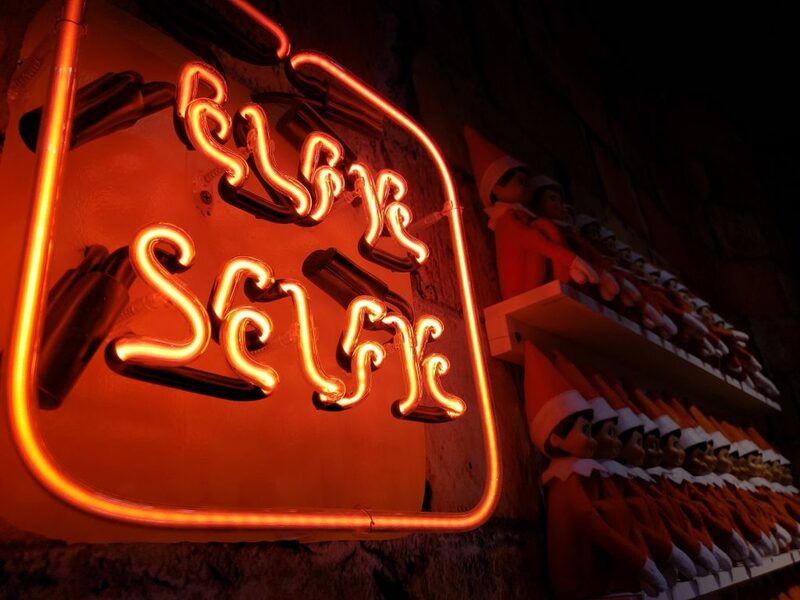 A real life working toy factory with thousands of ornaments on the walls, guests can get an “elfie selfie”, receive a golden “Toy to the World” ticket, watch a live countdown to Christmas and sign the naughty or nice list…or maybe even both. 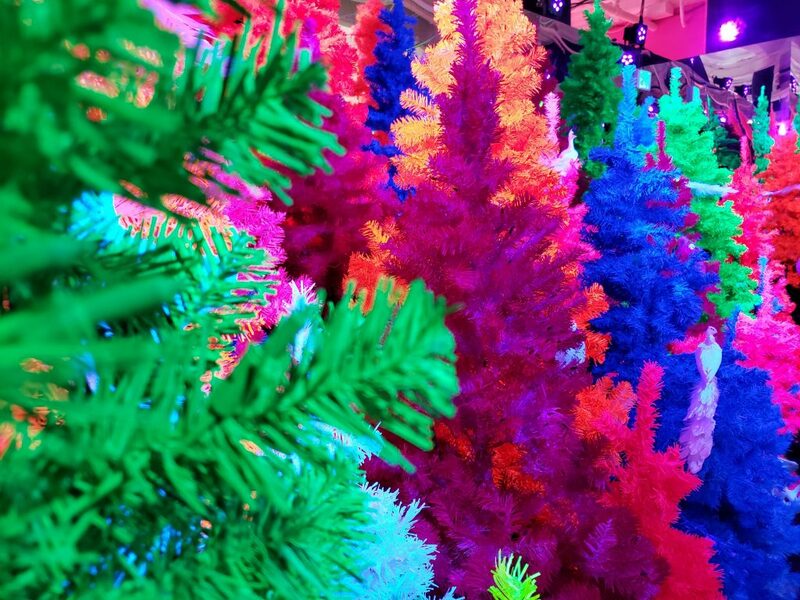 An unprecedented and amazing fluorescent display with trees in a mirrored infinity room. Don’t forget to look for reindeer and hidden animals throughout this beautiful installation. What are the holidays without sweets and treats? This room features vibrant colors with a rainbow bridge and a river with swimming candy fish. 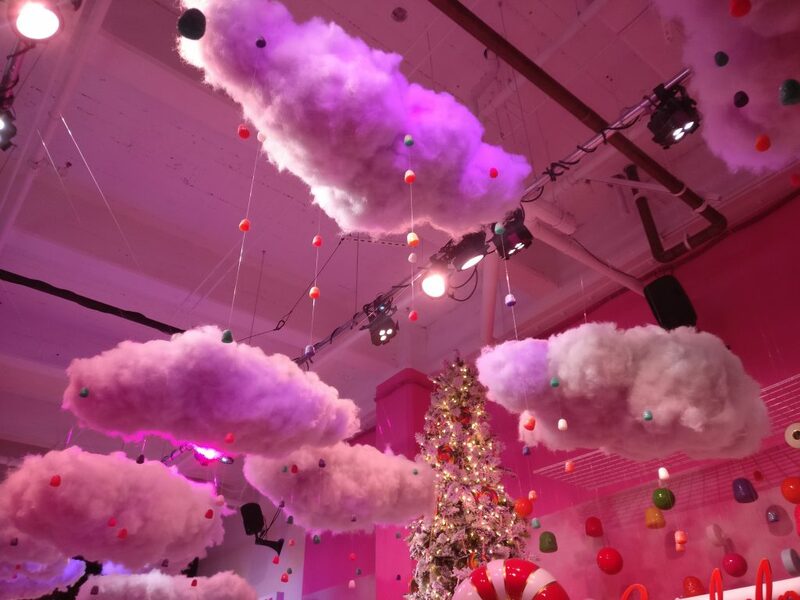 Guests can also swing in Candyfornia and be captivated by candy clouds. 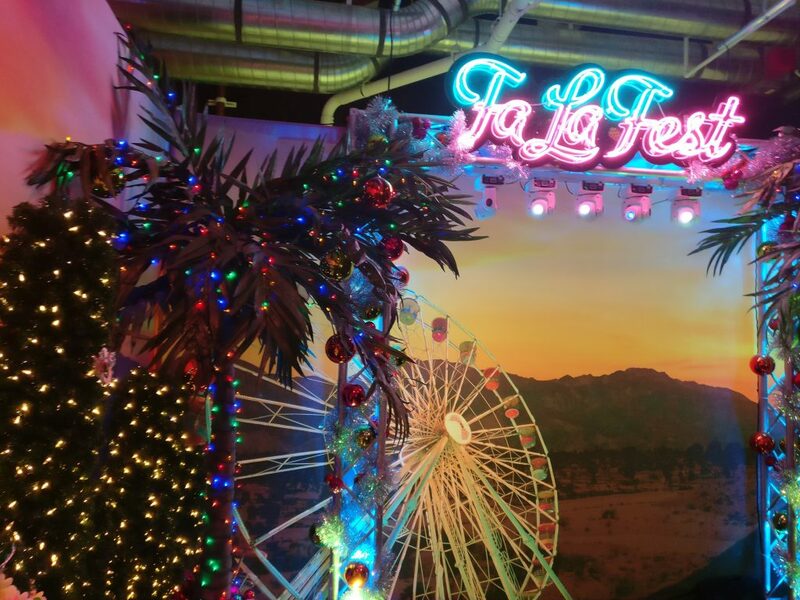 Angelenos love a good music festival (Editor’s Note: Better than Coachella) and Fa La Fest will not disappoint, but reindeer are the only VIPs here. 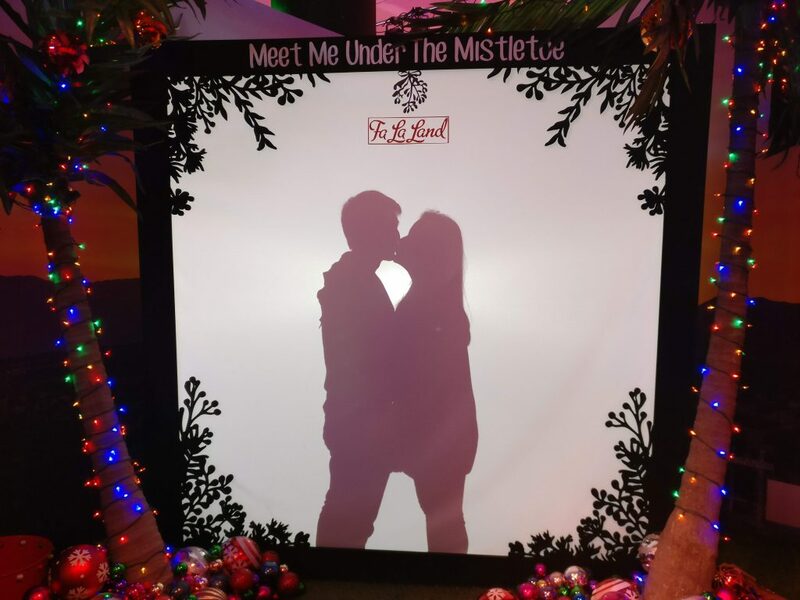 Make sure you bring your special someone to take a picture at the mistletoe kissing booth while your kids hula hoop up a storm on the infinity dance floor. Again, the experience ends December 26. Buy your tickets online at https://falaland.com in advance. Also, parking is free for the first 2 hours on weekends and for the first hour on weekdays—if you want free parking beyond that, you can get your ticket validated at the businesses at the ROW (so maybe make an evening out of it). Lastly, make sure you spend time at each station—there’s really no pressure at all from the employees there, who are super enthusiastic since Santa runs a tight ship, presumably. Have fun! Thanks H and J for some picture contributions to this post!